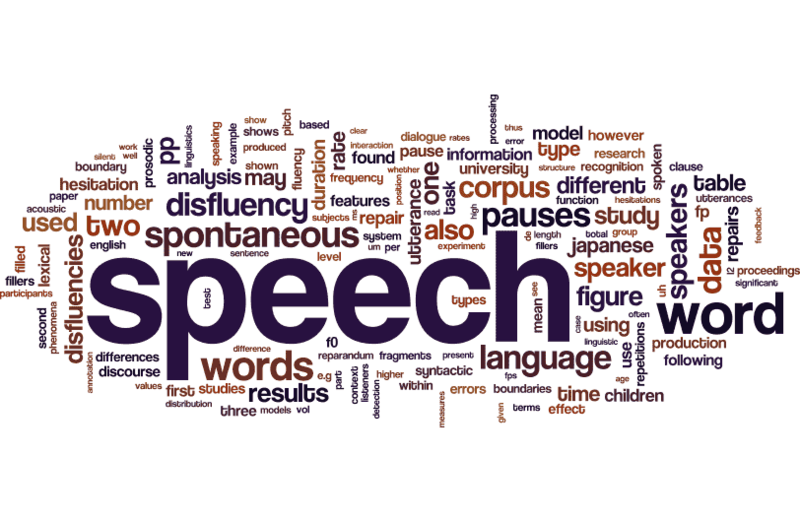 What does "Disfluency in Spontaneous Speech" look like? OK, this is purely for fun. 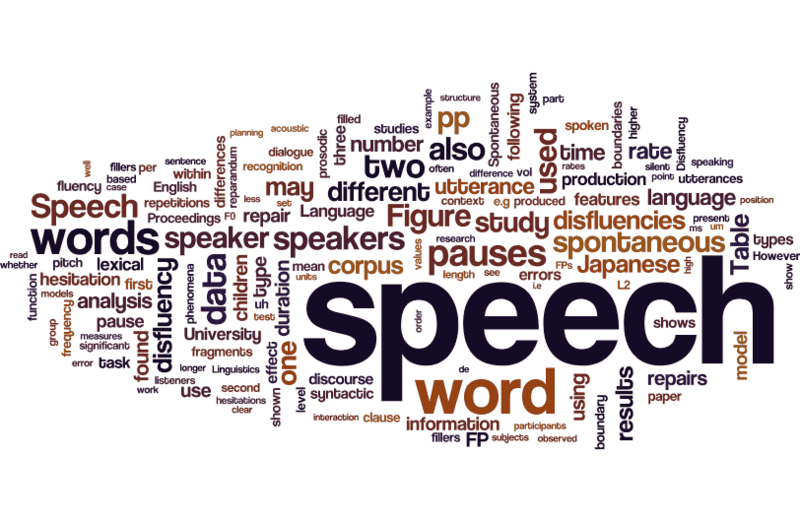 After getting all the information pages set up for the history of the Disfluency in Spontaneous Speech workshop series (here), I decided to extract the text from the proceedings (unfortunately not all, because for some workshops I only have image scans) and then created a few Wordles™ based on the text. Here are a few results in slightly varying formats. The next one doesn't distinguish upper and lower case. Personally, I prefer this one to the above. 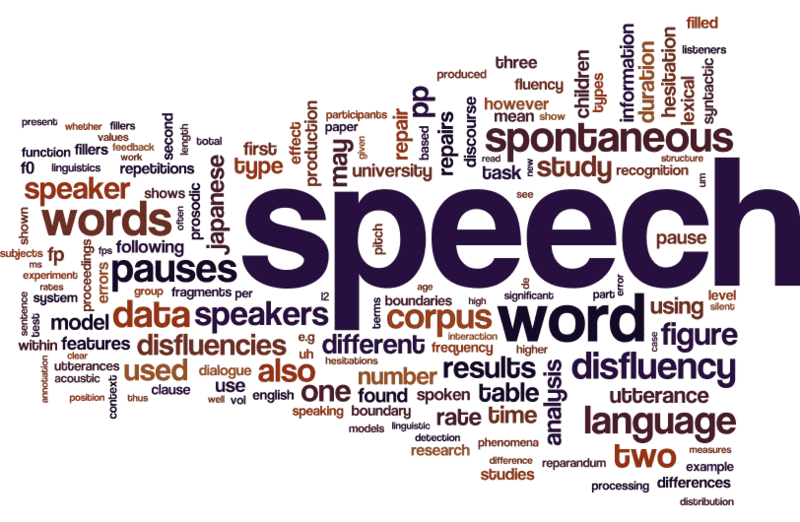 I particularly like the way "disfluency", "spontaneous" and "speech" have lined up nicely in proximity of each other. Here's one that has a somewhat different boundary shape. I thought it looked cool because it seems to vaguely resemble a speech waveform. Perhaps someone with a bit more graphic artist expertise could create a composite of the two. And finally, here's one that has more or less straight edges. 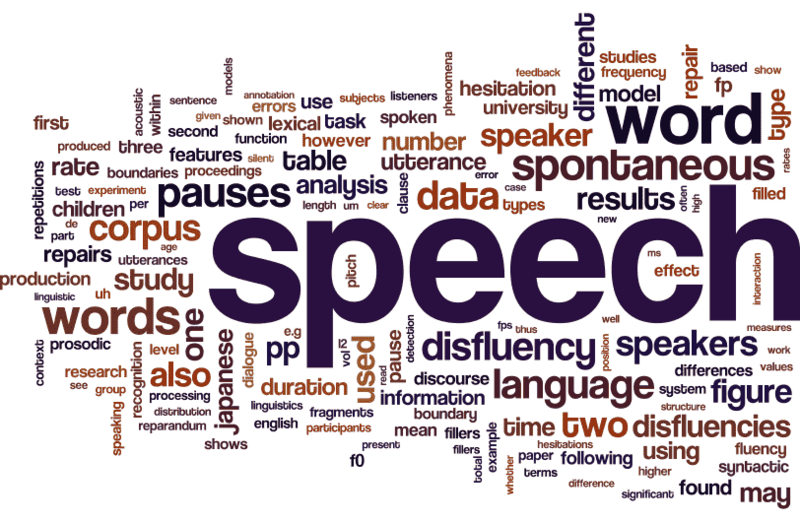 The Wordles on this page (and the larger ones they are linked to) are free to re-use without any attribution to me, though it would be nice if you acknowledge that they are based on the Disfluency in Spontaneous Speech workshop series.